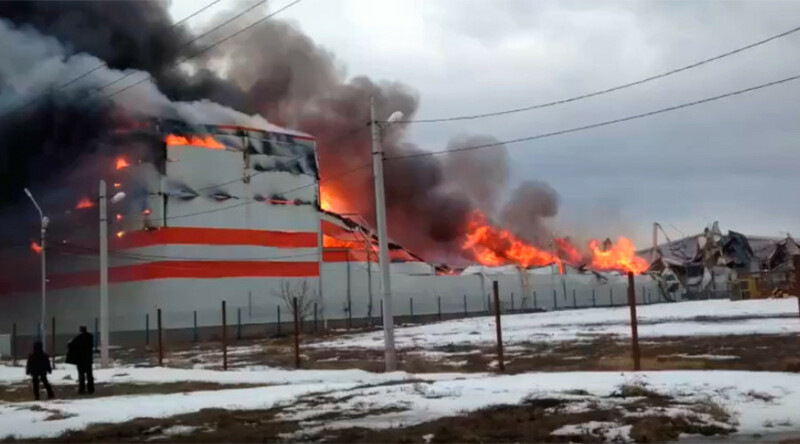 Firefighters are battling flames which have engulfed 3,000 square meters of a furniture warehouse in southern Russia’s Stavropol region. Fire crews quickly responded to the blaze, which broke out at a warehouse in the village of Verkhnerusskoye at around 2:00pm local time. Initial reports said that the Level 3 fire had engulfed an area of 1,450 square meters, but this was later updated to over twice that size. “Judging by our data, the fire is localized in an area of three thousand square meters,” Oleg Degtyarev, the spokesman for emergency services in the region, told RIA Novosti. The fire is said to be under control and the authorities have reported no victims.